This report allows a dispatcher or an accountant to view high-level payroll details for the drivers of a carrier. Pay Rate: driver's pay rate as a percentage. 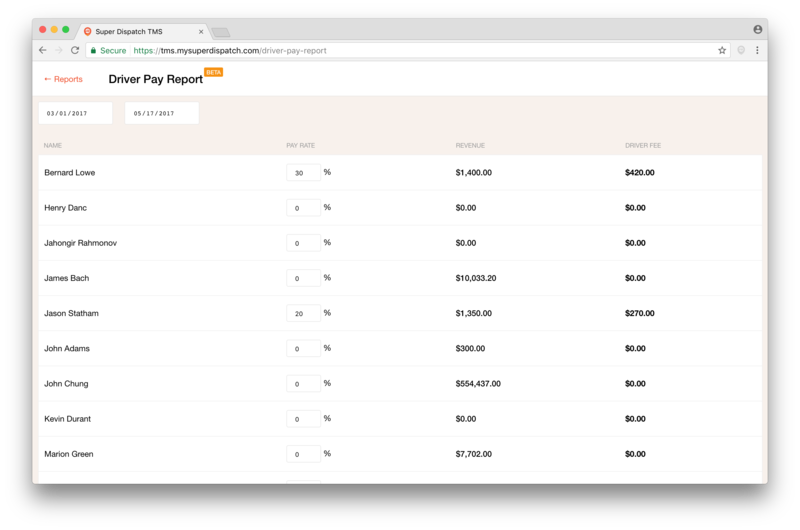 Pay Rate is editable and changes are automatically saved. Archived orders are not included to the report. All drivers are listed whether active or inactive. 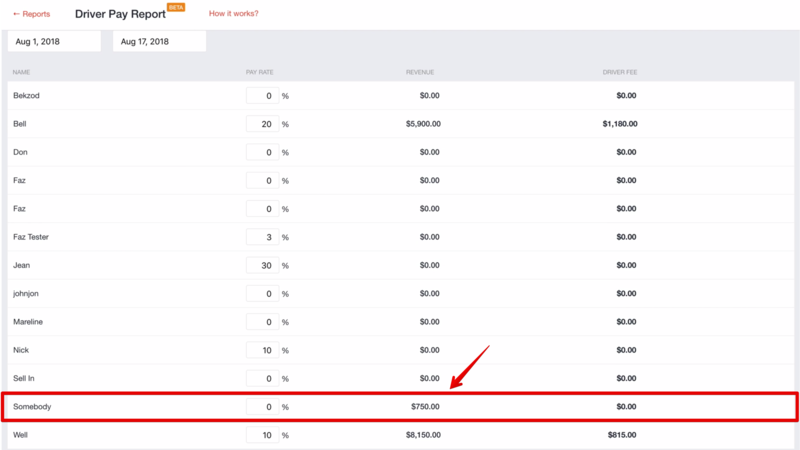 Super Dispatch has added an "Expenses" attachment when creating an order in the dashboard. It allows you to add expenses like pulling fees, fuel taxes and storage expenses. This affects Driver Pay because you can choose to deduct it from a driver's pay or not. For instance, if you hired someone to lift an inoperable car onto the trailer for $100, and charged your broker for that, but didn't want your driver taking a percentage of that pay, you can choose to deduct it from his/her overall pay. This load has deducted $100 from the Driver Pay. In this screenshot, you see the total load price ($850) and that it is assigned to a Driver named "Somebody." Driver "Somebody" only delivered one load (Load 356673) for $850 with a $100 pulling fee deducted from their pay. As a % Pay Rate was left blank, the driver is shown as being owed $0 as a Driver Fee.